During the past four years, I have had the opportunity to work with school leadership and teachers in the Bismarck, North Dakota district. A special opportunity has been working with the Career and Technical Academy staff. Recently I was in a discussion concerning their work with Career Ready Skills and realized the connectedness to skills needed for successful teacher collaboration in creating optimum learning for students. The Career and Technical Education programs serve students in grades 9 thru 12 in the Bismarck area. We have a partnership with Bismarck State College which allows students to articulate high school course work to post-secondary. As an example, a student can graduate from our Electronics class and start the second-year program at Bismarck State College, earning an Associate’s Degree in one year. We have met with college teachers on what our students need to know and be able to do while in high school. Our courses are based on high skill, high wage Career Pathways and have input from industry advisory committees. I asked Dale why they developed career ready standards? 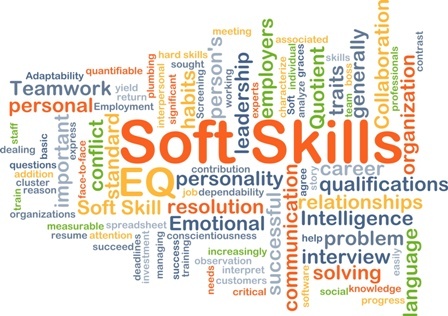 Our main reason was to separate academic from soft skills when providing a grade. It is a more accurate assessment of a students’ career readiness. At our Advisory committees, we continued to hear the importance of career ready practices. For example, you may have an A in welding, however, you might score low in responsibility or collaboration. Our industry partners would say they would rather have a welder that may be in the lower B range and score high on responsibility, collaboration and communication. You can view the standards and the rubric used here. Dale described how they use a Career Ready Progress (CRP) report. The CRP shows up on districts PowerSchool report card. Parents and students can see their score which is based on a rubric and standard based grading. The score is an ongoing score in all CTE classes. A student in the beginning of the year may be at level 1 and by end of semester could be at 3 or 4. Our goal is to have the report placed on the student’s transcript. Students receive a score in individual skill sets as well as an overall career readiness practices score. Find a copy of a CRP here. Effective Group Member – It is important that each member is conscious of their actions. An Effective Group Member arrives on time prepared, contributes ideas, keeps the meeting focused on the purpose, and holds group members accountable to the norms. 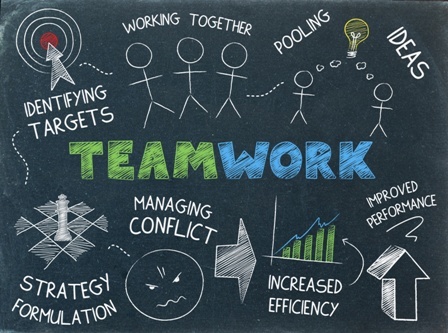 For students to develop the critical soft skills for effective teamwork, they need opportunities to tackle team goals with coaching and debriefing on how their individual words and actions impact team progress and success. I believe the same is true for teachers. PLCs provide the opportunity for teachers to set common goals and develop strategies to achieve those goals. Too few teachers are receiving any training, debriefing or coaching on the necessary soft skills for effective teamwork. …. arrived without student work or data that was on the agenda. …. answered emails or corrected papers all throughout the session. …. rejected every idea offered by colleagues without any suggested modification. How do school leaders communicate the expectations for teachers’ development of the required teamwork skills? At what point do administrators use teacher evaluation in the professional responsibility domain to identify that effective teaming is a system expectation? Here is a statement from one district’s teacher evaluation form . If students are examining and receiving feedback on their abilities to engage actively and respectfully, to share and support, to listen well, and be open to compromise; shouldn’t teachers be doing the same?